Among the 32 teams that have all released two new kits, there are going to be dashes of brilliance and those of the more forgettable nature. 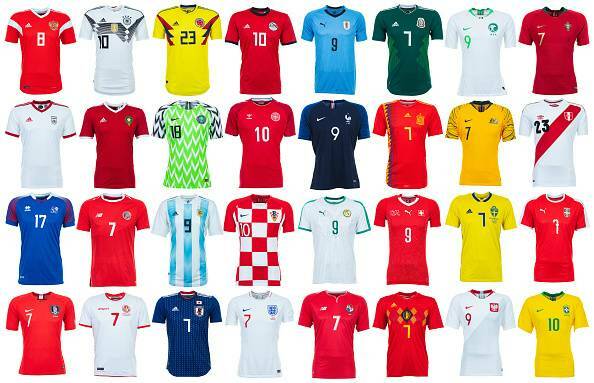 From England’s classic style to the maverick design from Nigeria, your guide to every home and away kit that will be worn in Russia at The 2018 FIFA World Cup. Only the group draw and team roster announcements rival the amount of press that kit launches receive during the lead up to the tournament. Uniforms have become not just about on-field production. They are a statement piece to represent a country in the same way a national flag does. Here’s our breakdown of the “Top 10” kits you’ll see this summer in Russia. The new home and away kit for the defending World Cup champions is a modernized take on the country’s most famous jersey from 1990.The seemingly random pattern on the front of the strip was a reference to Germany’s World Cup timeline and reversing it simply does not have the same effect. Still looks good though but the away strip stands out more. 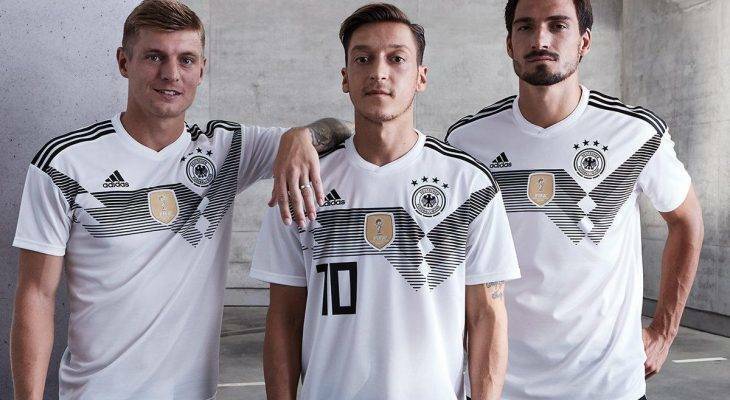 The collar has the words “Die Mannschaft,” which means “The Team” on the neckline. A gold World Cup winner badge is on the front of the jersey.